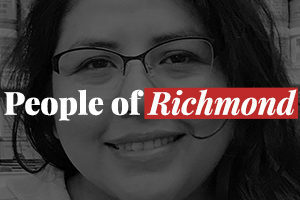 Richmond City Council voted Tuesday to start the process of annexing North Richmond after 60 years of being unincorporated. However, questions still remain about what North Richmond residents truly want. 250 volunteers turned out to participate in the 29th Annual Coastal Cleanup Day. On Tuesday night at Richmond’s City Council meeting, upset residents and members of the lesbian, gay, bisexual, and transgender (LGBT) community, mostly dressed in purple t-shirts and yellow armbands, signed a unity pledge against hate speech and asked council members to do the same. The standing-room-only crowd also heard 65 people voice their concerns about homophobic comments they heard during the last public meeting. To help improve attendance and keep kids out of trouble, a program of the West Contra Costa Unified School District is funding bus passes for up to 2,000 high school students. So far only about 1,500 students have signed up.